You may have ignored your Super up to now as you feel young , immortal or just don’t like thinking about death (see I said “if you die” not “when you die”” just so you would continue reading). But in doing so you may not have left your superannuation to the person you intended. Strict rules govern how your super is distributed when you die – and it’s important to follow those rules to make sure your money goes to whom you want instead of having a faceless Super Fund Trustee or worse an out of date Trust Deed decide. One of the most important decisions you make when you join a super fund has nothing at all to do with investment. It revolves around the question of whom to nominate as the beneficiaries of your super when you die. It is a critical decision – because if you don’t get it right your savings could be given to someone other than your preferred beneficiaries or the funds could be held up while disputes are mediated. NOTE that none of the above automatically include Mother, Father, Brothers or Sisters. In the case of a Retail or many Industry fund the beneficiaries you nominate when you join a fund are normally only a guide – the trustees of your fund will have the ultimate discretion as to who will receive your super. They will take into consideration any nomination of beneficiaries that you have made, but are not bound by your request. The only exception is where your super fund allows you to make a “Binding Death Benefit Nomination” or even better a ” Non-Lapsing Binding Death Benefit Nomination” . This is a nomination that the trustees are obliged to follow. You may only nominate a spouse, child, someone who you held an interdependency relationship with, or a financial dependant. 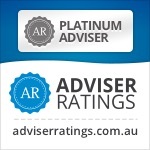 If you want your superannuation to pass to someone else, such as a friend or charity, you should consider nominating your estate as the preferred beneficiary of your superannuation entitlements. You superannuation will then be distributed according to the terms of your will – you would need to nominate such people or bodies as beneficiaries of your will. 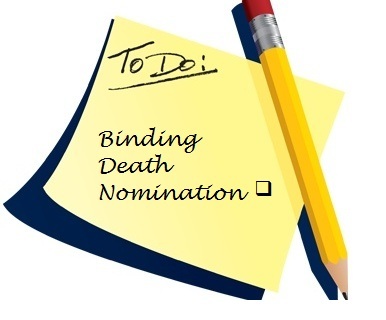 It’s also worth noting that the basic binding death benefit nominations are only valid for three years – so make sure you update your nomination regularly or ask for a Non-lapsing Binding Death Nomination form. Renewed every three years, although it is possible and in my opinion preferred to have a non-lapsing binding death benefit nomination. Who to leave your superannuation to (and how) can be a complex question that can involve tax, social security and other financial considerations. 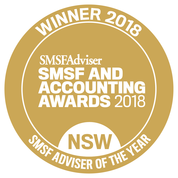 You are well advised to seek professional assistance from a financial planner in this area and if dealing with an SMSF then a SMSF Specialist Advisor™ is the best place to start.